Capt. 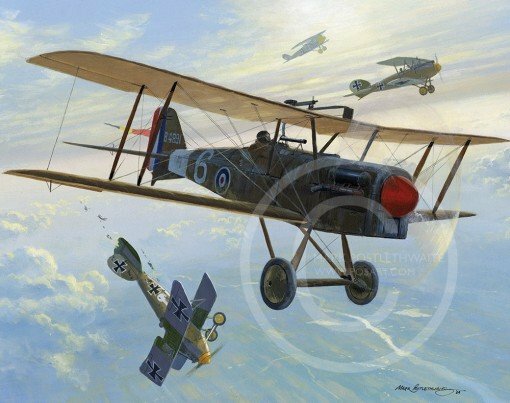 James McCudden of 56 Sqn battles with Albatrosses and a Pfalz of Jasta 10 in his SE5a on 30th January 1918. McCudden’s victim seen here going down is Vfw Adam Barth.